Manly men´s neighbourhood, if such exist, the Abasto treasures stories of tango slums, its roguish men, tango songs trilled by Gardel, at each of its corners. If geographically it stands within the Balvanera area, habit led it to be acknowledged more than a century ago as autonomous and with an identity of its own. 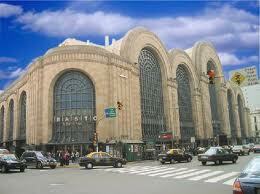 Part of this is due to the disappeared "Mercado del Abasto", whose first construction dates from 1894. 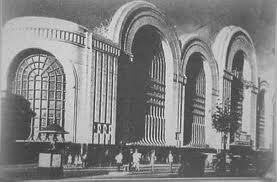 Since then, and up to 1934, it was populated with whole-sale markets. That year the imposing French style warehouse was opened, which was to become one of the largest gatherings of people and vehicles. These days, a modern shopping centre rises in this spot. Alongside this commercial growth, the tango spirit was begining to be shaped, the "gardelian" legend. Even though versions are always controversial, the singer is supposed to have emigrated from France to Uruguay, with his mother Bertha, to finally become ensconced in this city neighbourhood. 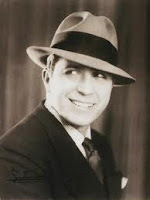 There, the child earned his first coins as helper to a stall holder at the market while he started to fall in love with tango, and behind his mother´s back took part in evening serenades and tango duels. His fame led him to travel the world and once success was in his grasp, he returned to the neighbourhood, where he purchased a house on Jean Jaurés street. Today, the place is a museum that gives testimony to his life. 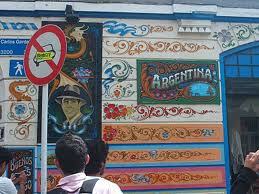 Another of Abasto´s attractions lies in its ethnic and traditional local cuisine. It was the Peruvian community, largely settled in the area, that lent it its character through restaurants such as Kosko Hatuchay or Los Trujillanitos, where "ceviche" (raw fish strips) is always the day´s special. One may savour as well the specialties of macrobiotic and hindu cuisine at Reina Kunti. Also in this neighbourhood, bohemian traditions were passed generation to generation, giving as a result a rich scene of halls for theatre and indie art, where plays and exhibits relevant to the off circuit are shown. Location: To the west of Pueyrredón Ave. and North of Rivadavia Ave.
Main arteries: Corrientes Ave., Jean Jaurés, Anchorena, Guardia Vieja. How to get there: Buses 71, 124 and 26; B subway line. Best time to visit: Daytime to sightsee, evening to attend a show. The neighbourhood corner: Corrientes Ave. and Anchorena.